The clip was filmed on the 18th day of his hunger strike. 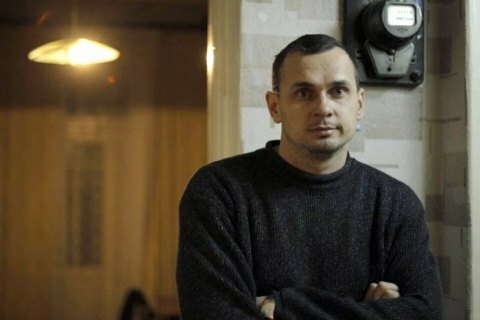 A unique video showing Ukrainian political prisoner Oleh Sentsov in a Russian colony has been published online, according to Krym.Realii. His first video in two years shows how he looked a month ago, on the 18th day of his hunger strike. The clip was recorded when he got a call from Russian presidential ex-candidate Kseniya Sobchak and her mother Lyudmila Narusova, a member of the Russian Federation Council. "It is not a sanatorium but I do not have scurvy either. Do not worry," he is seen saying on the video. Russian media received the clip from law enforcers and published it on the web. On 14 May, Sentsov announced an indefinite hunger strike, demanding that all Ukrainian political prisoners in Russia and Russia-controlled territories be released. Ukrainian ombudsperson Lyudmila Denisova came to visit Sentsov in the Russian Labytnangi colony where he is held but was denied the right to see or talk to him.